Celebrate spring with these simple impromptu party ideas. Thank you to Tum-E Yummies for sponsoring today’s post. Here in the south, the weather has been teasing us of spring’s impending arrival. My children enjoy all spring activities. From planting flowers to springtime showers, they relish in warmer weather and the newness of the season. One of their favorite activities is chasing butterflies. Even my boys enjoy chasing butterflies. We have butterfly nets, and they each see who can catch one first. They squeal with delight when they are able to catch a butterfly in their net and then watch it fly away. 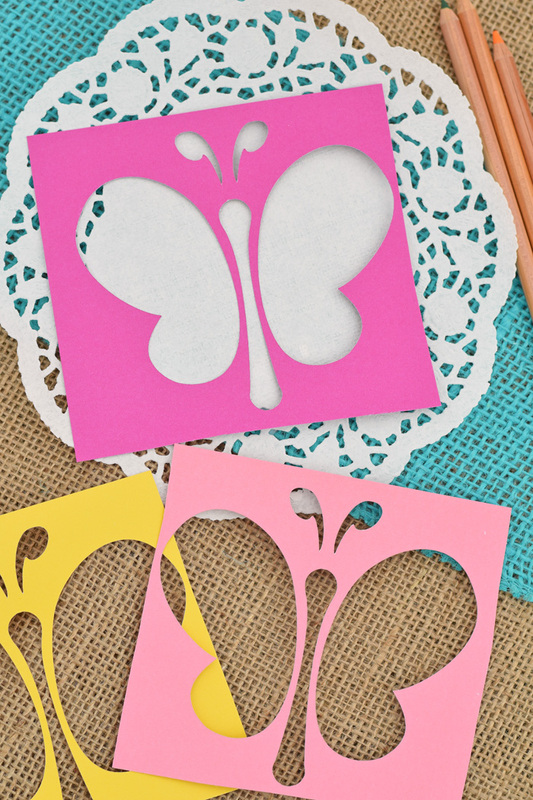 With this in mind, you can understand why butterfly crafts are popular in our house. 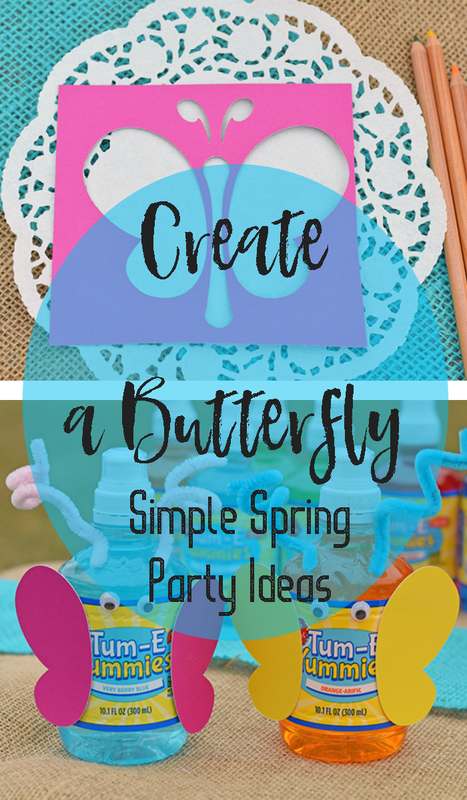 If they are in yours, as well, here are a few simple ways to have an impromptu spring party, complete with a Create-a-Butterfly Station! 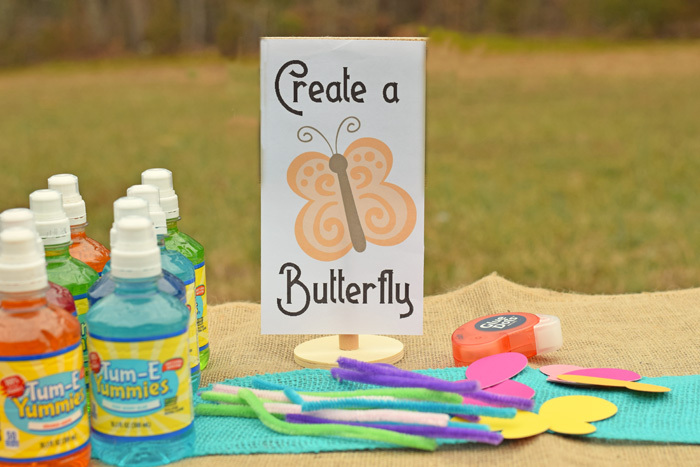 With a few craft supplies that I already had around the house, I gathered items that we could use to turn our beverage bottles into butterflies. You may find that you already have some of these items in your craft stash, as well. If not, they are found at all arts and crafts stores and some discount shopping centers. I used my cutting machine to cut the butterfly wings, but you can also hand draw and cut them. This may be something the kids would like to help with, too. 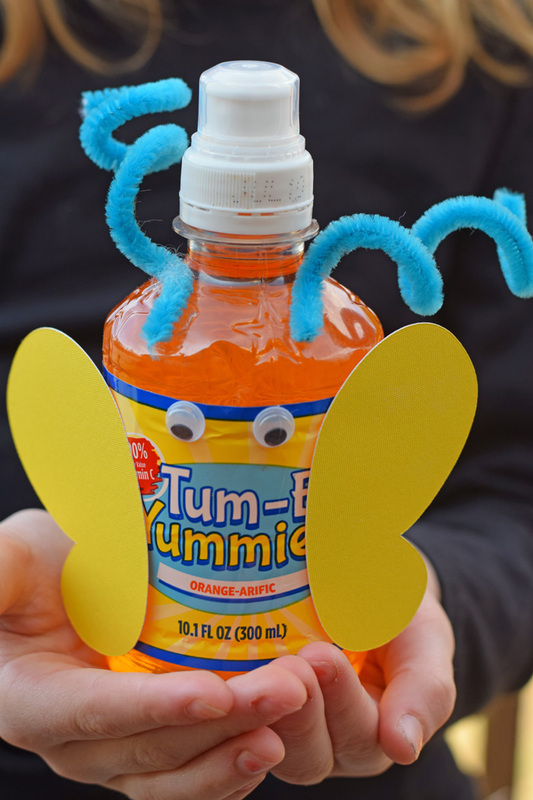 The kids will have fun using the Glue Dots to adhere the wings and the fuzzy sticks to the bottles. The adhesive wiggle eyes will stick to the bottle on their own. I’m always interested to see what color combinations the kids will pick to design. It’s always fun to sit back, enjoy the spring weather, and watch the children’s creativity blossom before my eyes. To make the fuzzy sticks curly on the ends like they are in the photo below, wrap the ends around your finger before securing them to the drink bottle. When cutting the butterfly wings, save the negatives from the card stock. 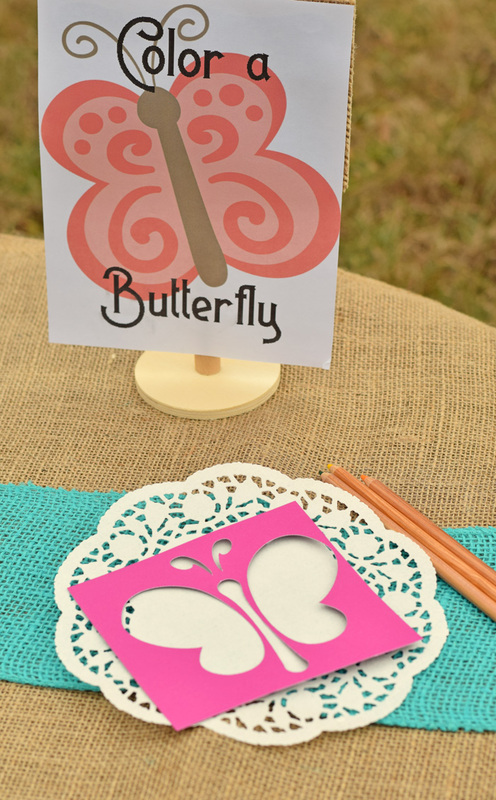 The kids can use them as stencils to create cute spring butterfly designs on paper doilies or light card stock. If your little ones love planting flowers, let them prep for spring by decorating their own flower pot. 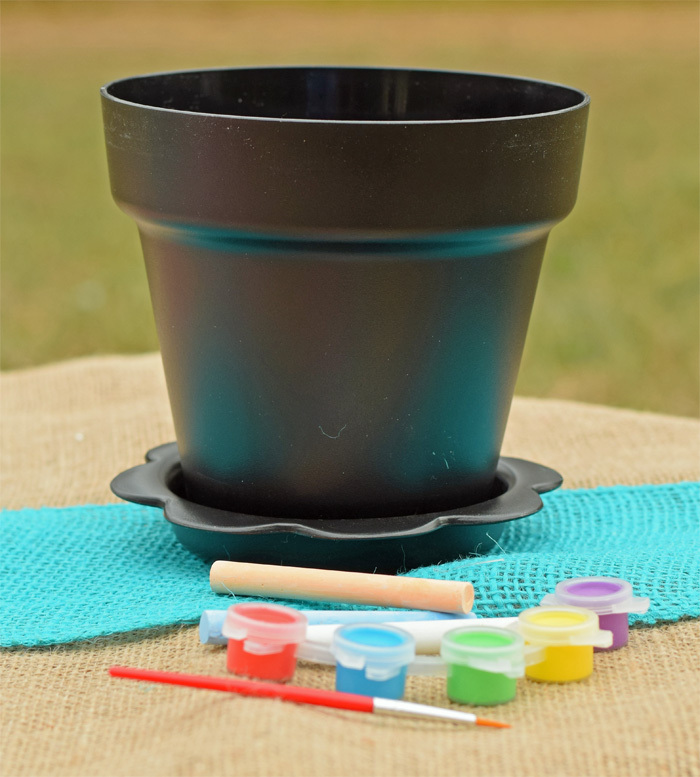 With chalk and paint on an inexpensive flower pot, each child can draw flowers, butterflies, and more. Save the flower pot and let the kids plant a flower or a vegetable in their pot to grow over the summer. Hey, maybe a flower planting party should be next on the activity list? 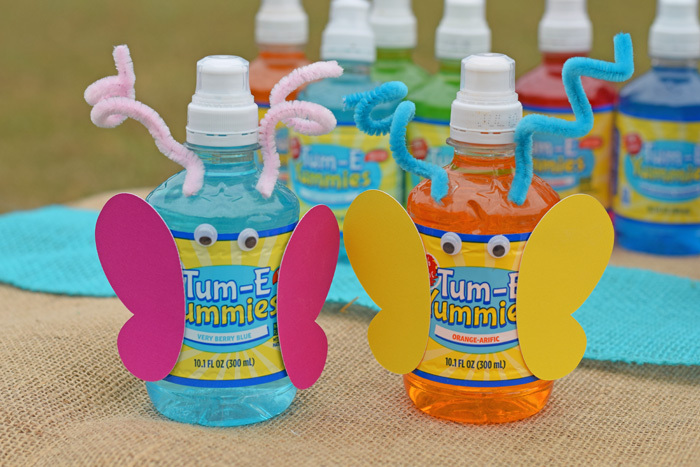 For a beverage with fun colors that match the colorful newness of spring, try Tum-E Yummies for a spring themed party. 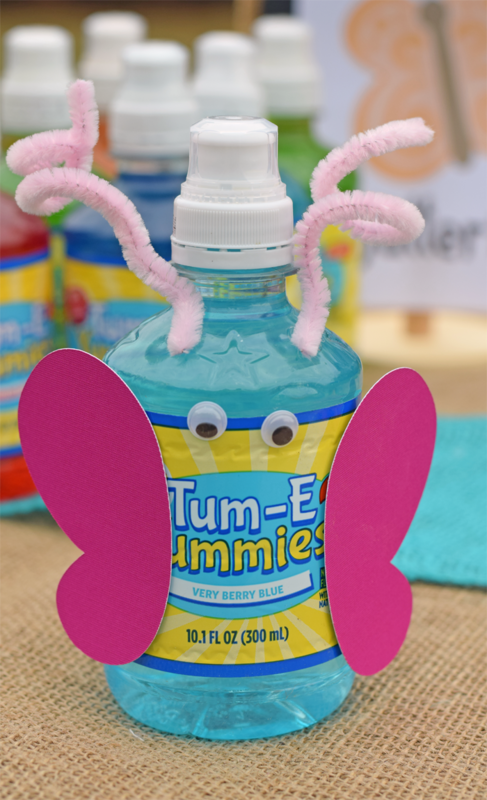 Not only are Tum-E Yummies colorful, but they can keep kids hydrated while making their own butterfly bottle, butterfly stencil craft, or flower pot. Tum-E Yummies come in fruit flavors of Very Berry Blue, Greentastic Apple, Fruitabulous Punch, Orange-arific, and Sour-sational Raspberry. This is the cutest idea! I love how you made the bottles into butterflies! I’ve been looking for some fun activities to do with my granddaughter, while she is on spring break. These will be perfect. I know that she will enjoy them all – especially painting a flower pot. We do these throughout the year. The “butterfly twist” will be perfect for spring. Now to do stock up on Yum-E Yummies! This is a great idea for a spring project! My kids love making butterflies, and they would enjoy making these ones. The best part about this craft is that they can pretty much do everything themselves. 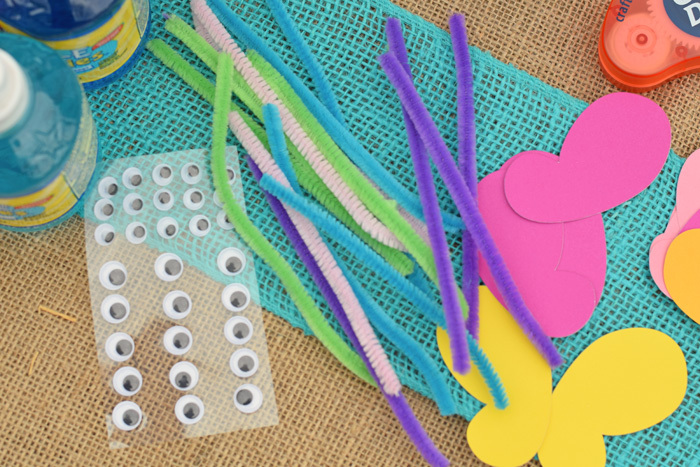 The googly eyes make this craft whimsical and fun! First off, I absolutely cannot wait for spring! Seriously… I am so anticipating its arrival. 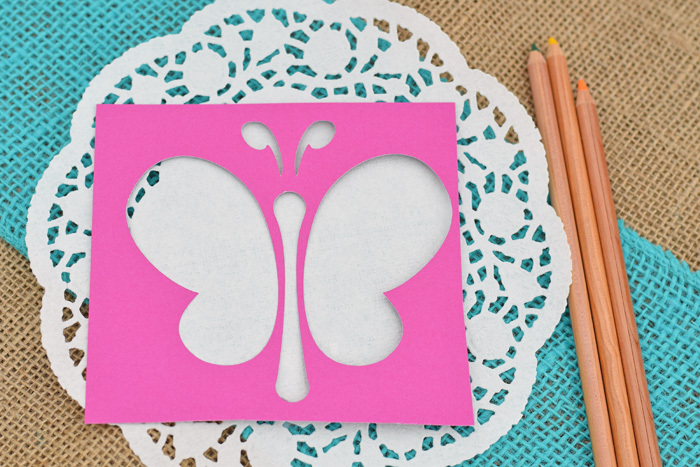 Second of all, this butterfly craft is so adorable. My nieces would LOVE making something like this! These butterflies are so cute! I love how easy this craft idea is. I can definitely pull this off with my toddler! The wiggle eyes give these butterflies personality! This is such a fun party idea! What a great way to encourage kids to be outside, but also to use their imagination. I love the Butterfly Drinks! Anytime you get to play with wiggly eyes, you know its going to be good! These ideas are extremely creative. The super adorable butterfly bottles made my heart melt. I loved the idea of coloring a flower pot! That’s a cute idea! And pretty simple too…I’m not much of a crafty person but this is do-able for me! Oh my word! This is such a darling idea, my kids would love this! I am so glad that spring is here, I am so over the snow and the cold. I am so happy for butterfly crafts and outside time! What a fun activity for children. I especially like the planting idea. Gives them the ability to get the creative juices flowing while planting a fruit or vegetable. I don’t have any children but I think my aunt would really enjoy doing something like this with her two little ones. I will definitely pass this idea along.